What is it that Superman stands for? Most of us would answer “truth, justice, and the American way…duh”. But believe it or not, it was originally just truth and justice. Which, don’t get me wrong, are pretty arduous and lofty ideals to fight for. So where does this whole “American way” come from? Aren’t truth and justice enough to make an ideal hero? Well…in an atmosphere that has American soldiers entering a second world war, no. 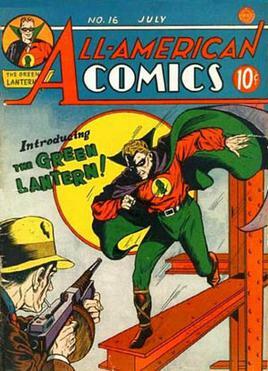 Superheroes and costumed vigilantes were the bread and butter of the comic book magazine industry. They were colorful he-men who took no guff from nobody but ddidn’tuse their abilities to abuse innocent people. They were like local sports stars everybody would cheer for. But as a group, they weren’t very diverse. Their costumes were different, but underneath they were all just a bunch of muscle-bound, wealthy white guys. This was the group that had the money, so popular art and commercial products were primarily aimed at pleasing them above everyone else (unfortunately this is still true for some products). And if you weren’t one of these wealthy white guys, these products would make you want to adjust your aesthetic tastes to be accepted into their sphere of influence. However, some felt that this pandering was a little too exclusive. 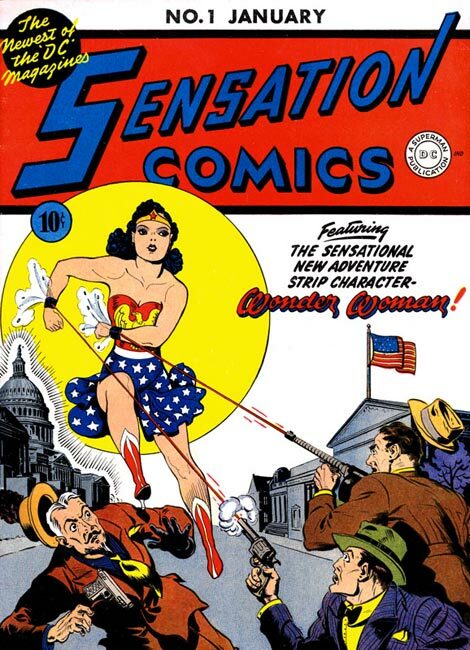 William Moulton Marston was one of those people. It was bad enough having to contend with Captain Marvel, but now Superman-DC (the nickname given to comics from National Allied Publications and Detective Comics Inc. as they unofficially merged) had to deal with Captain America as well. One was a living childhood fantasy; the other was a super-idealized form of what happens when you mix nationalism and super heroics. Yeah, Superman’s great, but he’s a grown up while Captain Marvel is actually still a kid doing amazing things. And it’s fun watching Batman and Robin take on the Joker with nothing but their manpower and wits, but Captain America is fighting the real threat of German spies. While both Batman and Superman are certainly not devoid of neither childhood fantasy nor real world danger (or at least as real as it gets in terms of comic book writing), those subjects did not feature as strongly in their stories. So how did they contend with characters that used them as a solid foundation? 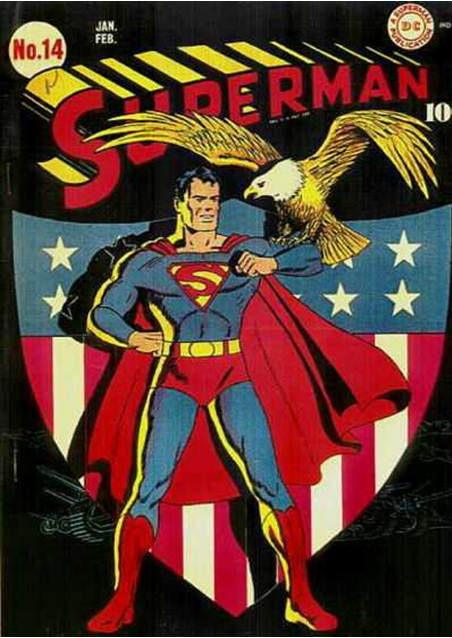 By the winter of 1940, superheroes were causing funny book magazines to just fly off the newsstands. They were an odd blend or mythology and athleticism wrapped in a brilliant package of primary colors. They often lived fulfilling lives as prosperous or wealthy men, but men still hungry for adventure. And almost all of their adventures involved finding the source of their problems and delivering a killer knockout blow to them. It was like watching a sports event with higher stakes and a team that you knew would win, but not how. And even though the hero’s tactics to triumph were often completely exaggerated and unrealistic, it didn’t matter! That was part of the fun. It would have been like saying Popeye was terrible because he misrepresents what spinach can do for you. But people didn’t read Popeye comic strips and watch Popeye cartoons because they wanted to see the effects of spinach on human physiology, nor did they read superhero comics for real solutions to the financial inequities of the Depression and American life in general. They wanted to be entertained, and seeing a colorfully clad athlete sock a local street tough or thieving businessman was just what they were looking for. But what was the next step? How do you keep these characters from going stale? Well…grouping them together to form some kind of team seemed like a good idea. And that’s exactly what All-American Publications did. 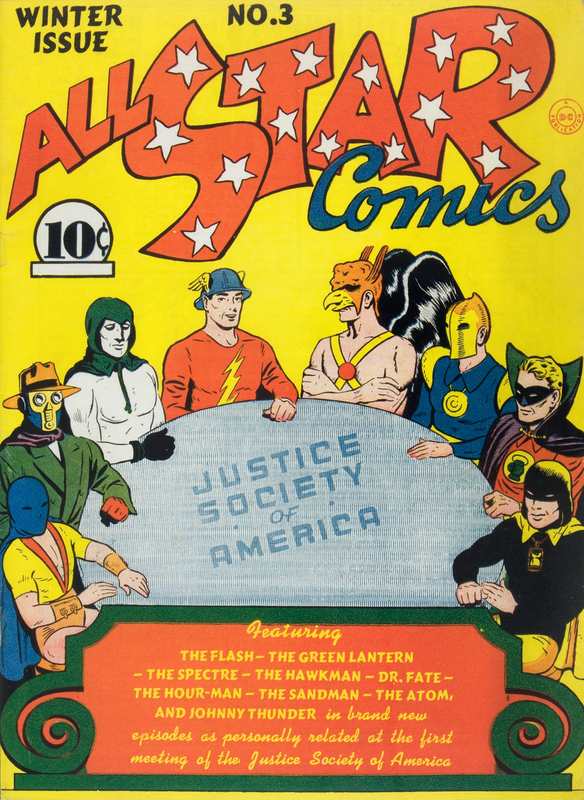 Although All-Star Publications wasn’t in a complete rivalry with National Allied Publications or Detective Comics Inc. (due to the fact that they were all owned by Harry Donenfeld) they still didn’t want to sit out on the superhero craze that was transforming the publishing industry. They had some success with the Flash, Hawkman, and Johnny Thunder in Flash Comics. And naturally that taste of success led them to produce more superheroes. The spooky Spectre had promise, but he may have been a little too supernatural to attract more average readers. While most superheroes were defined by their phenomenal abilities, it was that human appearance that made them so appealing to readers. So you didn’t want to step too far away from that (at least not in the late 1930s/early 1940s) if you wanted your character to be successful. People do like supernatural stories though, so where do you strike the balance?